The product that made thermostats cool is not without its flaws. Nest's learning thermostat is a great way to save cooling and heating costs, but it might not be the best option. The Nest has been the smart thermostat of choice since it arrived on the scene in 2011. Google bought Nest Labs because its thermostat was so impressive, but the product hasn’t changed much over the years—it’s still a reliable and smart way to control your heating and cooling with minimal user effort. The Nest is ahead of the pack in many ways, but the competition is closing in fast. One area where the Nest unabashedly excels is in setup. Actual hardware installation is essentially the same across the board with smart thermostats—it alters depending on how many (and which) 24-volt wires your current system uses. 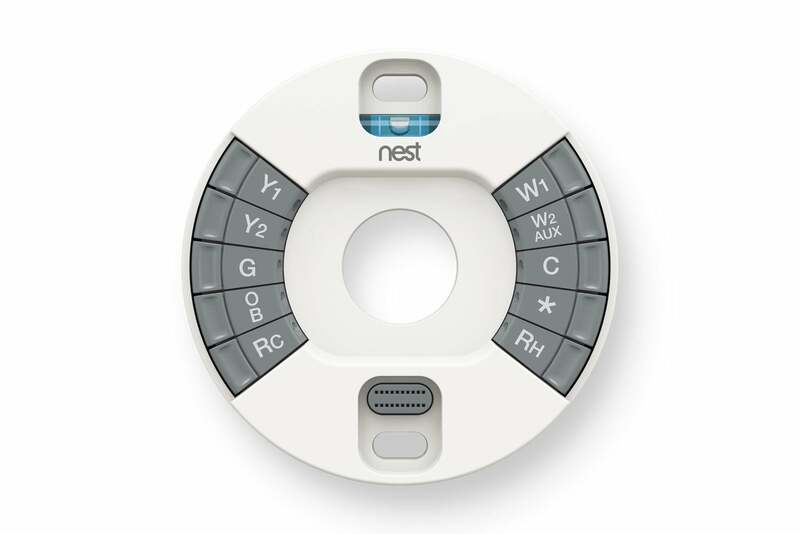 The Nest supports the common C-wire, but doesn’t require it. The instructions are very detailed, making hardware installation an easy task. The Nest can support multi-stage, heat pump, and multi-zone HVAC systems, although as usual with these thermostats, multi-zone means multiple Nests throughout the house. Beyond that, the app and web browser offers many options for control. You can simply let it go based on its defaults for optimal savings or get down in the weeds with its best-in-class scheduling interface. Next to the Emerson Sensi, the Nest has the highest number of temperature set points per day we’ve seen. There are essentially just two rules: 1) Target temperatures must be set on the hour or at 15-minute intervals (such as 7:00, 3:30, or 12:45). 2) Adjacent temperatures must be at least 60 minutes apart. 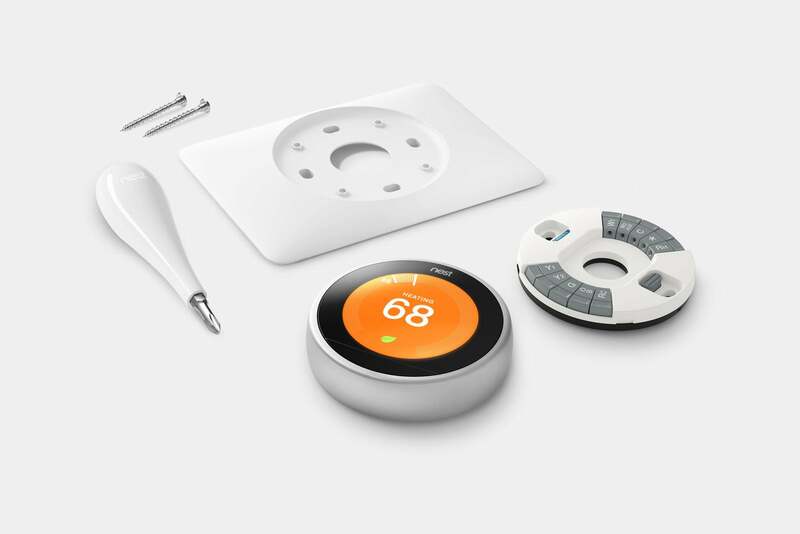 Nest Labs forever changed the way that thermostats are installed, thanks to thoughtful features such as this backplate. We had some initial hiccups with high temperatures. In the summer, we cool our house down at night and let it heat up to a set point during the day, preferably without running the HVAC system until it hits the set point. One summer morning after installing the Nest, we woke up to discover the furnace running and the Nest heating the house to that afternoon’s set point, which defeated the purpose of cooling the house at night. Setting the Nest to “cool” only (not Auto switching back and forth between heating and cooling) became the go-to method to enforce only running the HVAC if the temperature went above a certain set point. Otherwise, the Nest “anticipated” that we’d want the house that temperature right away, rather than letting the house slowly heat to the set point temperature. We eventually discovered the Nest’s reliance on the motion sensor to determine whether people were in the house. By far, the biggest issue with installing a Nest is your understanding of how it uses its built-in motion sensor to decide when you’re in or out of your home. We installed the Nest in the kitchen, which is a common location. Even then, if no one passed through within an initial 15-minute period, the Nest simply assumed no one was home and set itself to ‘Away’ mode—which is usually warmer than ‘Home’ mode in the summer. Nest Labs also makes one of the best apps. The Nest does have a geofencing option that allows it to track users based on their cell phones. For whatever reason, Nest Labs buried this feature in the options menu—but opting out means the Nest uses only the motion sensor. Many homes have the thermostat placed in some out of the way location, where foot traffic is minimal. In that case, you’ll likely have a problem getting the unit to understand when you’re home and away. 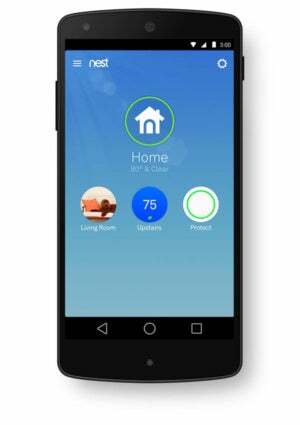 A quick tap in the app fixes the Home or Away setting, or you can simply walk in front of the Nest. But, having to tell the Nest you’re home contradicts the whole point of a smart thermostat. The Nest works best—with or without geofencing—when you place it in a spot that enables natural use of the motion sensor. Relocating a thermostat isn’t a trivial matter. If you have other Nest products—a Nest Cam security camera or a Nest Protect smoke/carbon-monoxide detector, for instance—the sensors in those devices can also inform the Nest thermostat that your home is occupied. But we don’t think you should have to buy a Nest Cam or a Nest Protect just to make sure your thermostat operates optimally. If none of these concerns are a problem in your house, the Nest offers the smartest option for home climate control. Five years of machine-learning refinement means that the Nest performs exceptionally well. The Nest learns patterns and preferences quickly, although it has a slight tendency to be bossy about staying within what it considers optimal money-saving settings. This means that the thermostat may deviate by up to three or so degrees from the set temperature. Trust us, no matter how many holes you need to spackle and paint over, you’re not going to want to put that ugly plastic behind your Nest thermostat. One of the biggest advantages the Nest offers is its partnership program with other smart devices. Security systems, light bulbs, locks, smart vents, water heaters, ceiling fans, and so on all work with the Nest. While it supports most of the usual options—Amazon’s Echo, Google Home and similar popular smart hubs—the number of compatible devices listed on their website is astounding. Nest Lab’s focus on collaboration with other smart home technology has created a giant smart home ecosystem with one very notable exception: You can’t integrate Nest products into Apple’s HomeKit ecosystem. The Nest is, overall, the ideal smart thermostat for those who want to put minimal effort into controlling their heating and cooling system. At the same time, its top-notch interface allows for precise manual scheduling. The reliance on its motion sensor could potentially be problematic, but the Nest is easy to use, beautifully styled in round aluminum and glass, and is the smartest thermostat on the market.